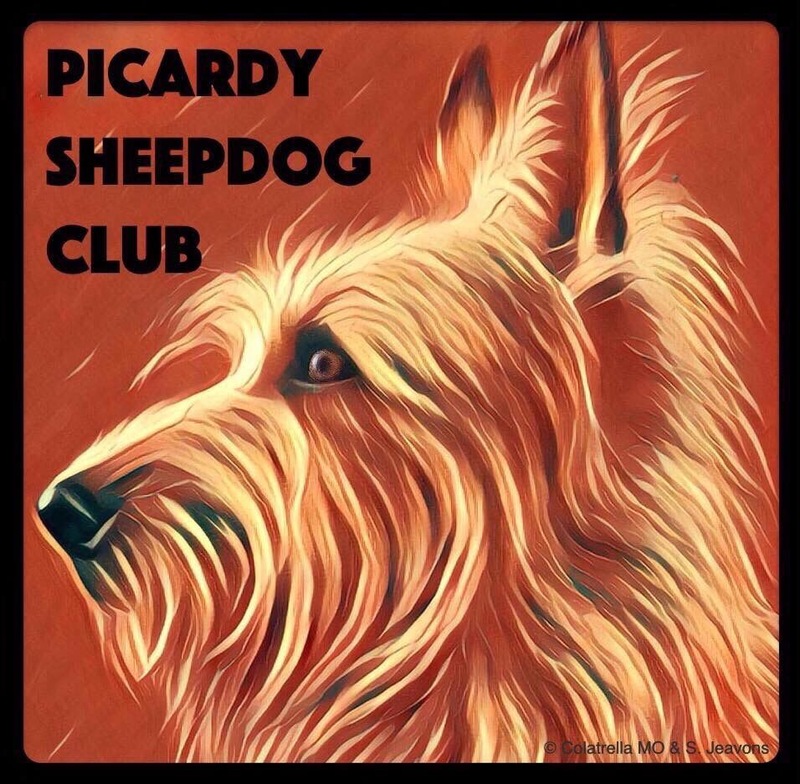 Picardy Sheepdogs are usually considered to be a healthy breed. Dogs in the breed commonly live to be 12-15 years old. There are some health problems that can crop up in individual dogs. Eye problems are sometimes found, such as progressive retinal atrophy (PRA) and Canine Multifocal Retinopathy (CMR). Brittle nails and sensitive digestion are known in the breed, but most of the time can be prevented by good care and careful choice of food. Heart murmurs have been mentioned but in the U.K (and most other countries), we have no evidence of disease, just a physiological split. The retina is the tissue that lines the inner surface of the eye, and is the light sensitive part of the eye that acts as the brain’s camera, transmitting images through the rods and cones that are part of its structure, thus enabling the experience of vision. The retina is part of the central nervous system (CNS) and the only part of the CNS that can be easily imaged and examined. In retinal degeneration, the cells of the retina begin to decline in function, thereby leading to impaired vision or even blindness. There are many causes for retinal degeneration. CMR is an eye disorder which can cause a range of symptoms ranging from minor retinal folding, up to detached retinas. Most of the time symptoms are minor, and sometimes symptoms are not even present. The minor symptoms range from small folding in the retina (folds) to small patches of raised areas on the retina (geographic). Ophthalmologists say that CMR probably does not affect vision much, it may or may not cause small areas of fuzzy vision, and might cause decreased night vision. Geographic would cause larger patches of fuzzy vision than folding. (Per CERF doctor). CMR is inherited as a recessive gene meaning the dog must have two copies of the gene to be affected. Carriers (dogs with only one copy) are phenotypically normal, but carry one copy for the CMR gene. The most common disease affecting single claws are: trauma, bacterial or fungal infections; the most common condition affecting multiple claws would be onychodystrophy. The claw is important for the pet for grasping and holding, moving and used as a defence tool. For this reason it is important that the claws are regularly trimmed and healthy. Diseased claws will predispose to trauma, abnormal locomotion, pain, lameness, and pododermatitis. Physical Injury or Trauma: Nail injuries could be painful for your canines; particularly those dogs who have lengthy nails. Not having been trimmed nails in dogs can crack or break throughout intense training or exercise. Insufficient Nutrition: Namely, besides the above-mentioned causes, the lack of essential vitamins and nutritional elements also results in cracking nails. You can handle this phenomenon with adding zinc supplements to the meals, together with omega 3 fatty acids. Fungal Infection: To identify a fungus, a skin scraping could be necessary. Any potential reasons for fungal infections might be some medicine to repress her immune system. Antifungal remedy is prescribed by your vet for treating the status. Symmetrical Lupoid Onychodystrophy : Now your dog has an immune mediated illness that leads to dry and brittle nails in canines. The disorder ends in an overactive body’s defence system which plays a vital role in the nail and nail beds. In addition this result in splitting and breaking of nails which fails to heal. As soon as your vet performed a proper analysis, the therapy would come with the usage of important fatty acid dietary supplements. They are similar to oil from fish, vitamin A cure, and antibiotic treatment by using niacinamide and tetracycline. Nail Bed Tumors іn Dogs: Nail bed carcinomas in canines influence the nail beds, the nail matrix, which has nerves, blood veins plus the melanin-developing cells. Aside from brittle claws, these ailments trigger tumour like progress found in the nail bed, bleeding, limping and ulcerations. They are hard not to be confused with bone inflammation sometimes. Yeast Infection іn Canines: Dog yeast infection is the result of Candida albicans yeast. Those are residing in your furry-friend’s physique, feed sugar and fat necessary to their developing. Other than dry and brittle nails, candida problems in dogs can even trigger itching or allergy symptoms. Furthermore, it is liable for ear infections, constipation, skin rashes and several other canines’ problems. The efficiency of handling brittle nails problems is depending upon the root cause behind the issue. The fungal and microbial infection could be remedied by topical therapies or medicines that are administered on the affected region. In certain instances the surgical removal of the nail plate is perhaps inevitable. The most effective brittle nails treatment and prevention would be to maintain you dog’s nails properly groomed. Picardy Sheepdogs do require good quality nutrition. This is really not a breed that can get by on cheaper dog foods. Your dog’s health depends on the nutrition you provide so cutting corners is not recommended. If your dog’s symptoms are more than just mild and intermittent like the presence of diarrhoea, which is often frequent and excessive, may contain a lot of mucous, and will often smell incredibly foul, or switching to a highly-digestible food doesn’t improve the situation, talk to your veterinarian. If your puppy or dog has just been introduced to your family, the stress off changing homes can lower his resistance fighting Giardia for awhile. What is a Sensitive Stomach, and What Can Be Done About It? Some dogs have guts of steel and can eat almost anything they find in the yard or on a walk with no ill effects. However, not every dog is so lucky. Many tend to be more sensitive than this. Do you have a dog that has one or more of the following symptoms? If so, your dog may have a sensitive stomach. Some dogs cannot handle a lot of variety in their diet or withstand ingredients that make their digestive systems work a little harder than normal. I’m sure you know people who can wolf down a chili cheese dog with extra onions without any problems and some who can’t. The same variability is found in pet populations (although no dog should be eating a chili cheese dog — with or without extra onions). If you suspect that your dog might have a sensitive stomach, the first thing to do is to simplify his diet. Cut out all the extras — No table scraps, limit yourself to giving just one type of highly digestible treat (or even better, use his regular food as a treat), and make sure he’s not getting into anything that he shouldn’t be (e.g., the garbage). Next, take a look at your dog’s food. Foods made from high- quality ingredients tend to be much more digestible than lower quality products. Does your dog’s food contain too much fat? Fat is more difficult to digest than carbohydrates and proteins, so a diet that contains a moderate level of fat (approximately 15 percent) is ideal. Certain types of fiber can also promote digestive health. Look for a source of both soluble and insoluble fibre, like beet pulp. Vitamins and minerals, especially those with antioxidant qualities, can also improve digestive function, so make sure your dog’s food contains appropriate levels of vitamins A, C, and E, beta carotene, and selenium. If you think that your dog’s current diet could be playing a role in his tummy troubles, switch to a different food that meets the criteria listed above. Of course, you still need to make sure that your dog is getting the balanced nutrition he or she needs. When you make a switch, do so gradually. Take about a week to mix increasing amounts of the new food in with decreasing amounts of the old. If your dog’s symptoms are more than just mild and intermittent, or switching to a highly-digestible food doesn’t improve the situation, talk to your veterinarian. More serious conditions, like a food allergy or inflammatory bowel disease, can have symptoms that are similar to those seen in dogs with sensitive stomachs. Giardiasis is an unpleasant parasitic infection that is most commonly found in humans, and has a much higher occurrence rate in countries with poor sanitation and limited fresh water facilities. However, the giardia parasite, which causes giardiasis, is also present within the UK, and is equally capable of affecting dogs and other animals as well as people. It is highly contagious, easily transmitted from pet to pet, and can lead to a debilitating bout of diarrhoea and digestive upset that can prove serious in young animals and those with a compromised immune system. Giardiasis is sometimes referred to as parasitic diarrhoea, as the presence of the giardia parasite in large quantities within the body often leads to intense sickness and scouring, or diarrhoea. Giardiasis not only affects dogs, but can also be transmitted to other household pets such as cats, and people as well. Giardiasis is more symptomatic in younger dogs than older ones and younger dogs and puppies may appear to become sicker faster than older dogs. Giardiasis development may be either acute (sudden in onset) chronic (ongoing or recurrent) transient (short-lived and temporary) or intermittent (the symptoms seem to come and go over a period of several days). The most obvious symptom of giardiasis in dogs is the presence of diarrhoea, which is often frequent and excessive, may contain a lot of mucous, and will often smell incredibly foul (much more so than the normal aroma of dog droppings)! It may also lead to soft, unformed greasy stools as well as diarrhoea, and can also cause pain, cramps, general stomach upset and of course, unhappiness in the affected dog. As the giardia parasite is found and transmitted within affected faeces, your vet will ask for a stool sample for examination in order to make a formal diagnosis of giardia infection in your dog. Medications will usually be prescribed to kill the parasites within the body, and your vet will likely also recommend bathing your dog and thoroughly disinfecting any bedding and other objects that they have come into contact with to prevent re-infection or spreading the condition further after recovery. Ongoing or recurrent giardiasis can be very debilitating for your dog, and so your vet will generally take a second stool sample after apparent recovery to check for the presence of the parasite again. As with any digestive upset in the dog, it is important to avoid dehydration, and ensure that your dog drinks enough water throughout their illness. A heart murmur is an abnormal heart sound, usually heard by listening to the heart with a stethoscope. Do all murmurs sound the same? No. The loudness of a murmur reflects the amount of turbulence that is present in the heart. However, the loudness of a heart murmur does not always correlate directly with the severity of disease. Murmurs are graded by their intensity, usually on a scale of I-VI. A Grade I murmur is very soft or quiet, may only be heard intermittently, and is usually only heard in one location on the chest, while a Grade VI murmur is very loud, heard everywhere that the heart can be heard, and can be felt when a person places their hand on the chest in the area of the heart (in cardiac terminology, this is called a ‘thrill’). Murmurs are also characterized by the time in which they occur during the heart cycle, and by whether they are long or short. Most murmurs are also characterized by their location, or where they are the loudest. The majority of murmurs in the dog occur during systole, the phase of the heart cycle when the heart is contracting to pump blood out. The specific characteristics of the murmur, along with any symptoms that your dog might be showing, will help your veterinarian to determine what is causing the murmur. What is an innocent or physiologic heart murmur? An innocent or physiologic heart murmur is a heart murmur that has no impact on the dog’s health. It is very common for young puppies, especially large breed puppies, to develop an innocent heart murmur while they are growing rapidly. The murmur may first appear at 6-8 weeks of age, and a puppy with an innocent heart murmur will usually outgrow it by about 4-5 months of age. This type of murmur is benign. In general, a physiologic or innocent heart murmur will have a low intensity (usually Grade I-II out of VI), and does not cause any symptoms or clinical signs.